Skybox announced the acquisition on its homepage Tuesday. Google's start-up shopping spree shows no signs of letting up. The search giant announced Tuesday that it's paying $500 million for Skybox Imaging, a start-up that provides real-time, high-resolution satellite imagery. 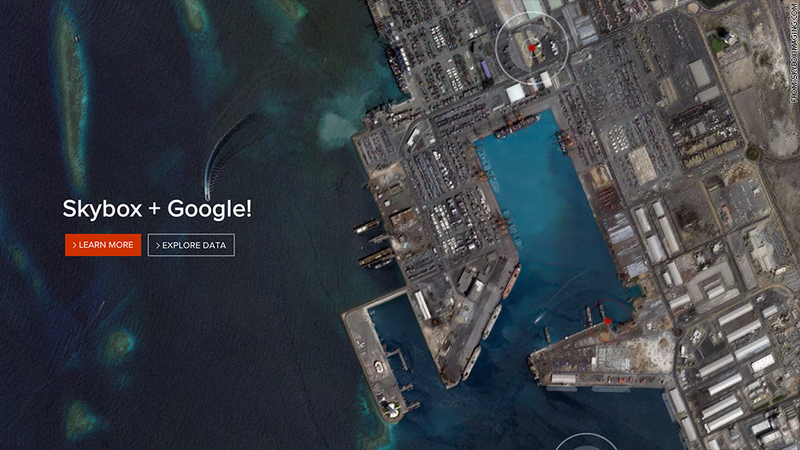 Google (GOOGL) says it plans to use Skybox satellites to "keep Google Maps accurate with up-to-date imagery." Google also said in a blog post that Skybox could help it bring Internet access to remote areas and help with disaster relief. Google has been experimenting with the delivery of Internet signals from high-altitude vehicles, including balloons and drones. In April, it announced the purchase of solar-powered drone maker Titan Aerospace, a company that had also reportedly drawn interest from Facebook (FB). Skybox, founded in 2009, said Google will "support us in accelerating our ambitious vision." "We both believe in making information (especially accurate geospatial information) accessible and useful," Skybox said in a blog post.